I recently finished reading a couple of series-installments that I really enjoyed. 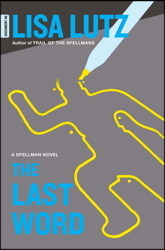 The Last Word, by Lisa Lutz is the sixth (and final?) book in the funny, original, and thoroughly enjoyable Spellman series. The Spellman's are a dysfunctional family of private detectives (and one lawyer-turned-stay-at-home-dad), their story told via case files narrated my middle child Isabel. Each book has plenty of mystery, plenty of family drama, and plenty of crazy humor. The later books in the series take a slightly more serious tone, as various family members -- but especially Isabel -- face personal and professional crisis. The Last Word continues this trend, as Isabel tries to manage the family business, navigate deteriorating family relationships, and face some dismal realities in her personal life and relationships. I'll be honest, at times reading this book was pretty stressful, as I genuinely worried about the Spellmans and their extended-not-always-related family. Fortunately, I put the book down hopeful, knowing that in the end, things would be all right. 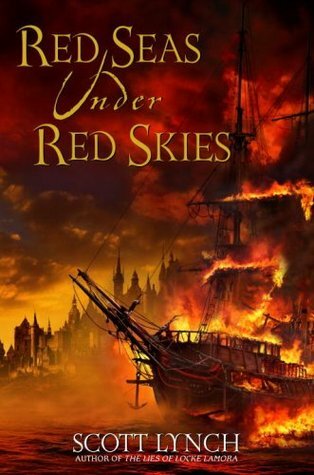 The second sequel I finished recently is Red Seas Under Red Skies, second in the Gentlemen Bastards series by Scott Lynch. The book begins with Locke and Jean recovering from the devestating events of The Lies of Locke Lamora. They're both grieving from the loss of their family, and recovering from serious wounds, but Locke goes one step further (no surprise there) attempting to drink himself to oblivion (at minimum). Fortunately, he's got Jean to literally beat some sense back into him, and the two eventually head out on a long con -- planned to be their last. Of course, it's no surprise that things don't go exactly as planned. Locke and Jean find themselves kidnapped, poisoned, learning to be pirates, and chased by assassins. They're still on the radar of the powerful Bondsmagi, and (unbeknownst to them) on the radar of some shadowy and mysterious figure who may or may not be out to see them dead. (it's a mystery that remains very, very, vague and intriguing. I need to read number three!). I loved the glimpse of sea life in this book -- the sailors are a unique bunch, with some unique superstitions (never head out to sea without at least one woman and one cat on board with you). Plus, the sea is a very equitable place, with as many female ships captains as there are male captains (maybe more). It's fun to see Jean and Locke out of their element in some respects, but still able to use their skills as they learn new ones (and Jean gets a little romance, which is nice to see). Now I'm back in sequel land, happily reading (and listening to) Words of Radiance, by Brandon Sanderson. Not quite halfway through at the moment, but already it's delivering. 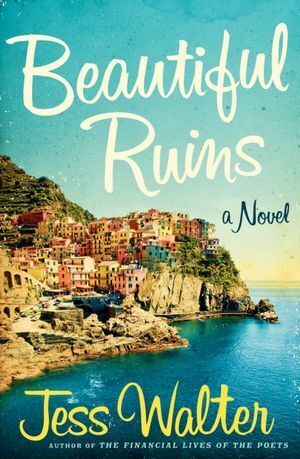 Beautiful Ruins by Jess Walter will make you desperate for a trip to the Italian coast. The story begins in the mid 1960s as an American actress shows up in the tiny village of Porto Vergogna, an almost non-existent village just below the Cinque Terra in Italy. The actress is ill, and has come to Hotel Adequate View to wait for a friend who will meet her there. As she waits, she captivates Pasquale, the young man who has come home to Porto Vergogna to care for his dying mother and his late father's hotel. The story then jumps ahead to the present day, and a young aspiring film maker well on her way to becoming a first-class cynic, working for a legendary producer whose most recent success is a reality show called Hookbook. As the story jumps between the 1960s and present day, we meet a young man with a screenplay, a legendary actor, and a failed junkie musician. The stories slowly spiral closer together, and we are given stories of love: of passion and lust, of self-love and preservation, of captivation and understanding, of responsibility and family. A story of love that is just waiting for the right time. We see how other people touch our lives in profound ways, and in deceptively small ways, bumping us slightly off our original course, but maybe in a direction that is better. Is it just me, or did February seem even shorter than usual? I'm finding myself in the middle of reading more than one book at once right now, and busy enough that I have a little less time to read than usual too. I've got an audio going (Red Seas Under Red Skies, by Scott Lynch, the second in the Gentleman Bastards series), a book for work (Beautiful Ruins, by Jess Walter), a book for myself (The Last Word: a Spellman Novel, by Lisa Lutz) and a couple of non-fiction books that I'm inching my way through (Search for Significance and Happiest Baby on the Block) -- full disclosure, I'm not the best non-fiction reader, but these are definitely books I want to finish. There are a few books on the docket, books that are coming out soon or out recently that I can't wait to read...Words of Radiance, by Brandon Sanderson...Sinner, by Maggie Stiefvater...Dreams of Gods and Demons, by Laini Taylor. 1. Shoes. I've been on a MONTHS long search for the perfect oxfords...thanks to Janssen, I may have found them. I ordered them online (see: busy and lazy), so we'll see if they fit. 2. Travel. I was out of town four out of the last eight weekends. Great trips, needed visits, and a lot of fun. But it can make for some feelings of catch-up, and for less time to do things like finally visit an Austin farmer's market or Book People, go for a hike, read books, write. 3. Peanut. Yeah, I'm six months pregnant. That's enough for a whole brain filing cabinet, including folders like reorganize-the-house, advanced-list-making, etc. 4. Music. I've been directing a bit of my discretionary cash each month to books, which is great. But I'm hankering for some new music. I need to get closer to my library and re-direct a few of those dollars. And then explore...I'm kind of in the mood for something folksy, maybe slightly country. Also in my music folder right now: making time for playing. I finally busted my cello out of hibernation, and one of my strings broke when I started tuning. So, there's that. 5. Socializing, aka, trying not to burrow in my burrow. 6. Knitting. Working on a Knit-a-Long that's supposed to be done at the end of March. So, I'm logging in some quality time with Parenthood, Nashville, The Amazing Race, Star Trek: TNG, and my knitting needles. 6. Stop. Breathe. Enjoy each moment and list and book and song and project and meal and conversation.